The Average Commute to Work by State and City #infographic ~ Visualistan '+g+"
What's the average commute to work? It depends on various factors, including whether or not you're living in a city, if you're taking advantage of public transportation, and which state you're living in. 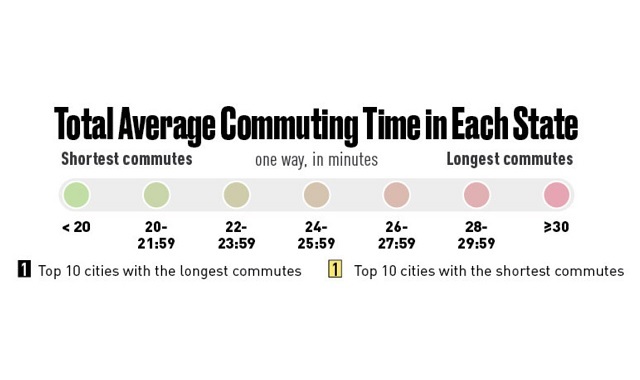 In the United States, the national average commute time is 26.6 minutes, according to the Census Bureau. Therefore, round trip, the average American is commuting 53.2 minutes each day. 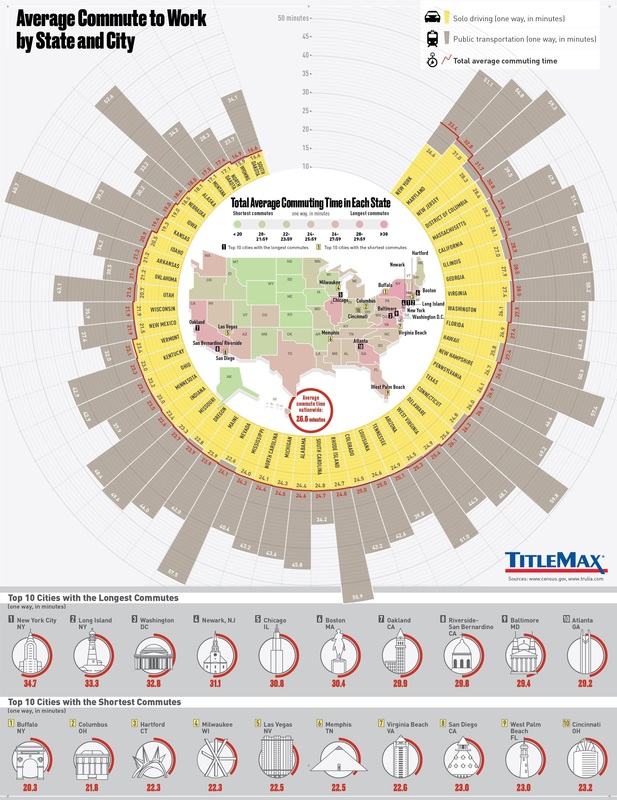 This infographic by TitleMax ranks 10 cities around the country that have the longest commutes, along with the ten cities in America that have the shortest commutes. New York City tops the list of the longest commutes with an average of 34.7 minutes, with Long Island, Washington D.C., and Newark closely behind. Buffalo, New York takes claim as being the city with the shortest average commute time in the country at 20.3 minutes. Following Buffalo, Columbus, Ohio and Hartford, Connecticut finish out the top three spots.